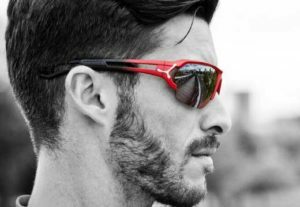 Along this year, spring-summer sunglasses trends offer us a great range of options adapted to all tastes. It can be said, that there is not a defined style so, we can find big and small shapes, serious or striking colors, extravagant frames…In one way or another, designers want to emphasize that sunglasses should stand out in an outfit. During the last years, frames with geometric shapes have been trend. But this year, different brands have bet for these shapes in order to make them their best sellers. Now, we are going to make a Little selection of the geometric shapes that will stand out. Without any doubt, triangular sunglasses are quite noteworthy. Brands such as Prada or Dior have created innovative shapes through triangles. Most of them have a metallic frame and their lenses use to have clear colors such as pale pink or yellow. This shape is a classic that never go out of fashion. Besides, they are characterized by their adaptability. They look good in almost all kind of faces. This year, squared sunglasses are combined with the oversize trend. As a result, we obtain pretty big sunglasses. Lot of celebrities choose brands such as Chanel, Gucci or Céline. 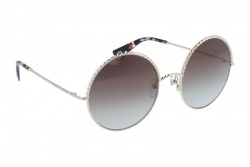 Round sunglasses have succeeded along the last seasons and they are still trend this year. Every year, they introduce little details that make them different from the last year’s models. There are a lot of brands that have introduced this style to their catalogue. 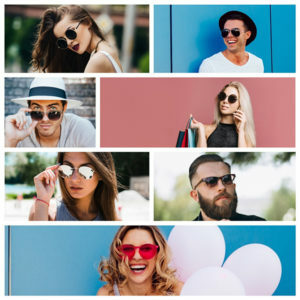 Ray Ban is one of the brands that has stood out the most with this shape, and that also has created a wide range of models that have round frames and lenses. Besides, there are brands such as EPOS that have most of its models with this kind of shape. 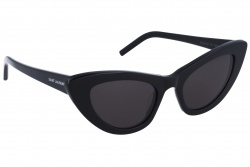 After several years, rectangular sunglasses are back. Those that were famous during the 2000’s, come back as one of the most important trends of the year. 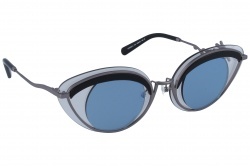 Their horizontal lenses are combined with metallic and acetate frames. Some of the most outstanding designers such as Dolce & Gabbana, Prada or Hugo Boss bet on this shape. 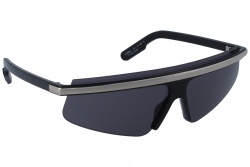 If you are looking for a sunglass that cover most of your face, shield sunglasses are the best option. There are lot of people who look for a big sunglass and because of that some brands such as Chanel or Prada have bet on this style. Dark colors are the most used in these designs. 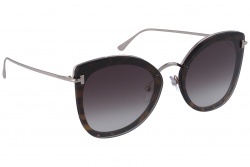 Lot of celebrities, such as Kim Kardashian, have chosen this sunglasses ‘style. 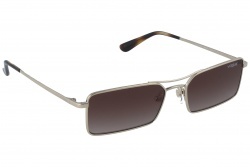 Surprisingly sport sunglasses have also become one of the most fashionable complements. Their lenses are characterized because of their striking colors such as pink, yellow or red. 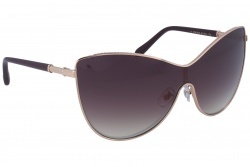 Cat Eye sunglasses are in the highest part of the pyramid regarding women’s fashion. They are feminine and fashionable with any look. Inside them, stand out those with red frame. Dulceida, the Spanish influencer, use to wear this model with many of her outfits. Butterfly sunglasses are a good option for women. They adapt to any kind of face and style, due to the fact that they work with the most classical as well as with the modern ones. This kind of sunglass stand out inside brands such as Chanel, Tom Ford or Carolina Herrera. 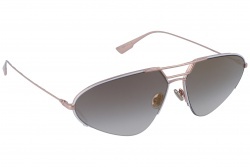 Details such as pearls or thumbtacks have become a fundamental part of many sunglasses from the most prestigious brands. Designers such as Gucci or Chloé have created unconventional shapes such as pineapple or heart frames.